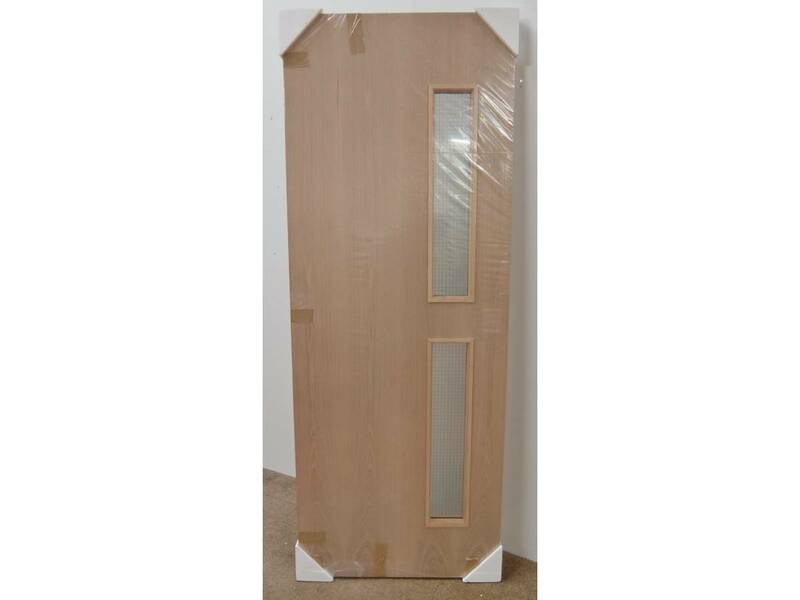 Internal ply flush fire door with the below specification. Please choose your size from the above dropdown menu. 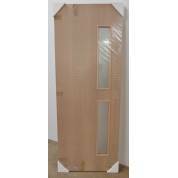 High quality ply faced internal fire doors. Unfinished, for site painting or staining. 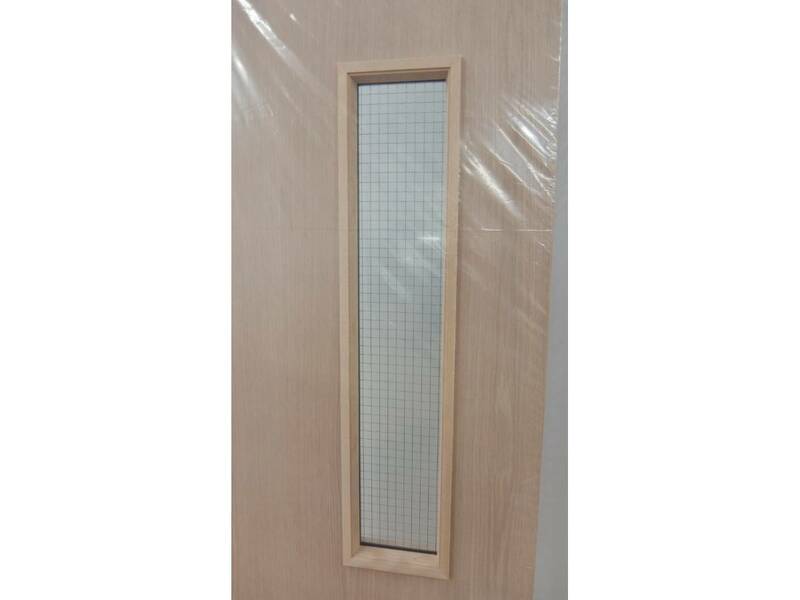 GO9 glazed fire door layout. Glazed with CLEAR georgian wired glass. This gives a much nicer finish than the usual obscure wired glass. 30 minute fire rated doors. Boxed and ready for dispatch or collection. On quantities of 5 or more, please contact us for palletised delivery options. 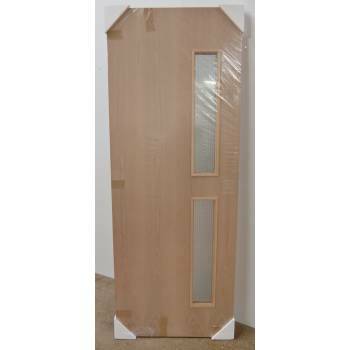 This door is a brand new unopened item, still in the manufacturers packaging, but is clearance stock from a leading supplier. This means that once this stock has gone, we may not be able to source them again. By buying this door you understand that we cannot know all the circumstances in which our products are stored and installed. For this reason, we regret, we are unable to give any guarantee against shrinkage, warping or splitting. Also, due to the fact they are clearance stock, we may not be able to replace it. This does not affect your statutory rights.